For the Golden State Warriors, Draymond Green kicking Steven Adams in the jewels and ZaZa Pachulia giving Kawhi Leonard a season-ending injury is all fine and well, but it’s even crazier when players try to hurt team staff like Latrell Spreewell did in 1997. Head coach P. J. Carlesimo told Spree to “put a little mustard” on his passes during a practice, which Spree brushed off and said he’s not in the mood for criticism. 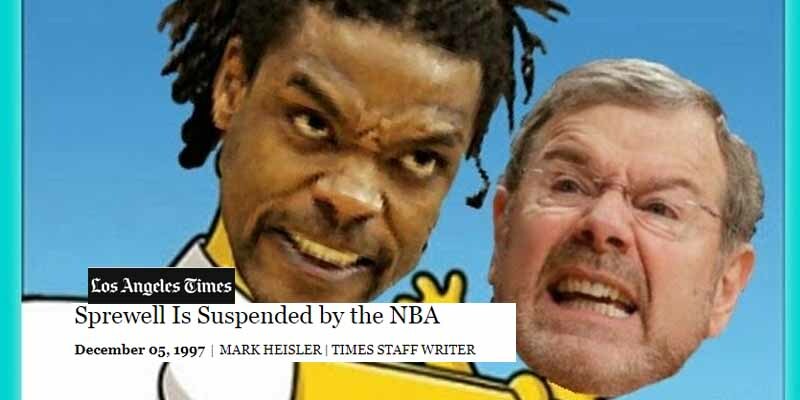 When Carlesimo approached, the 6’5 swingman threatened to kill him and dragged him backwards by his throat, choking him for a full 7-10 seconds before assistant coaches pulled him off. 20 minutes later, Spree came back after showering and charged at the coach again and was once more pulled off by assistant coaches. For this, Spreewell had his contract with the Warriors terminated and the league suspended him for a full season.